A cruise around Asia and South East Asian cruises allow you to explore the mysteries of the Orient without the hassle of low cost flights, border crossings and snuggling up to snoring backpackers on overnight bus rides. Unpack once in your luxury cabin, and then enjoy the facilities aboard as you enjoy day excursions ashore returning to your very own bed every evening. Asia cruises take you to a mysterious part of our planet to experience ancient cultures and exotic landscapes. The countries of Southeast Asia are lined with stunning tropical beaches and island chains that give the region a unique charm. There are several South East Asia cruises offering world-class itineraries aboard world-class ships. Choose a four night cruise from Singapore, stopping at ports in Malaysia including the futuristic, multicultural city Kuala Lumpur. For a more in-depth exploration, choose a twenty-two-night Grand Adventure starting at Singapore. Skip across the ocean to experience the elegant mosques and palaces, rainforests and wildlife, of Bandar Seri Begawan, Brunei. Two nights of scenic cruising takes you to Vietnam, with a stop at Penang on to Cambodia and an excursion to the truly wondrous Angkor Wat. Leave the wilderness ruins behind and wander through the Thai capital Bangkok. Koh Samui is one of the most beautiful of Thailand’s islands. Then experience the idyllic Bali, setting of the popular novel Eat Pray Love. You will have time for more sandy tropical beaches at Phuket and city excursions in Malaysia before disembarking at Singapore. The cities of Asia juxtapose ancient temples and monuments amongst modern, technological city life. Discover Ho Chi Minh City in Vietnam, the former Nguyen Dynasty capital on the Perfume River at Hue near Da Nang, and the limestone karsts of Ha Long Bay in famous Hanoi. See Tai Chi, an ancient and deadly form of martial arts, practiced at dawn at Hoan Kiem Lake. Hong Kong is the final stop with bustling markets, ornate temples and neon lights. Cruises to Asia often depart from nearby Australia and New Zealand taking in natural and city highlights, or arrive via the vast, deep South Pacific from North America. Perhaps you want nothing more than white sandy coastlines and tropical drinks; in that case an Indonesian Discovery Asian cruise is the one for you. 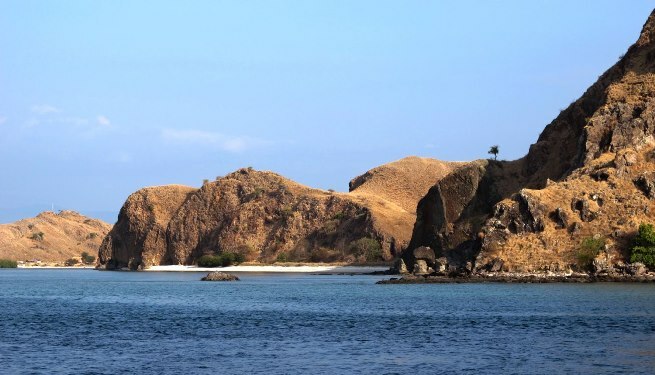 A highlight is unique UNESCO World Heritage Site, Komodo Island, home of the Komodo Dragon, which can reach ten feet in length! The Indonesian islands hold as much shopping and glamour as they do hikes off the beaten track and one-of-a kind views.